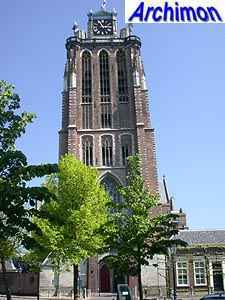 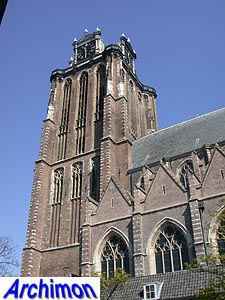 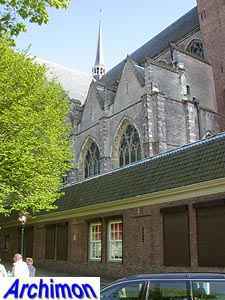 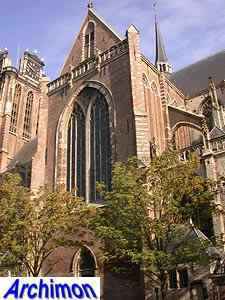 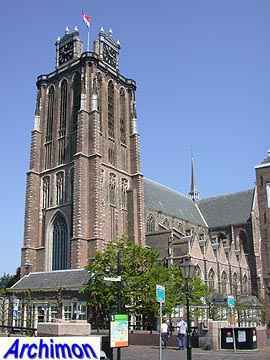 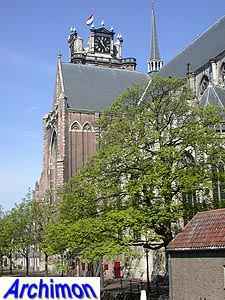 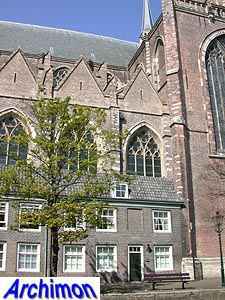 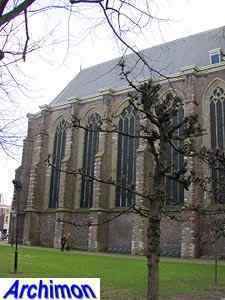 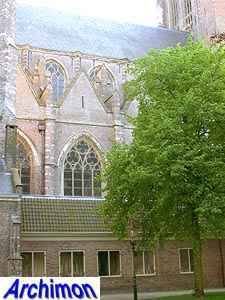 The Grote Kerk in Dordrecht, until the Reformation known as Onze Lieve Vrouwekerk ('Church of Our Lady'), is one of the most important Gothic churches of the Netherlands. 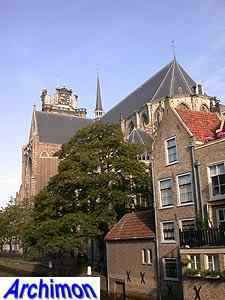 It is an impressive building in Brabantine Gothic style, which was not only appreciated in Brabant itself but in the county of Holland as well. 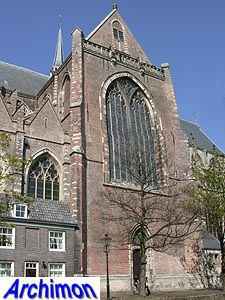 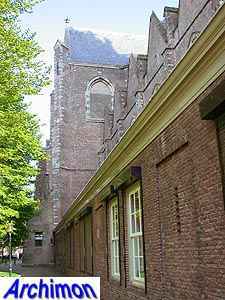 Of all churches in Holland, the church of Dordrecht is the only one in true Brabantine style, not in one of the local variants. 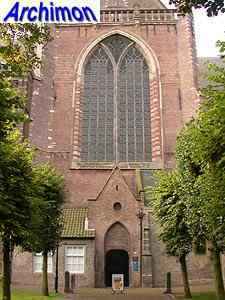 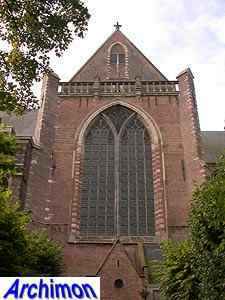 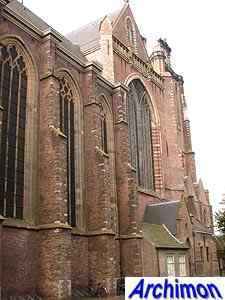 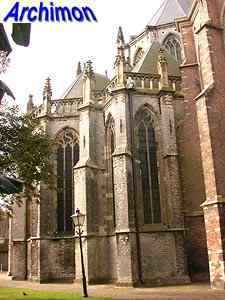 It is the only big Gothic church in Holland with stone vaults. 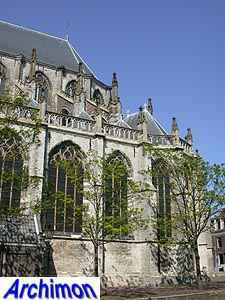 The choir is the most elaborately decorated part of the church, and is executed in a white-coloured natural stone. 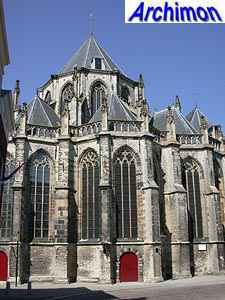 It is attributed to Everaert Spoorwater, an architect from the Southern Netherlands who contributed to many Gothic churches of that period, and who already in 1434 was commissioned to finish the nave and the transepts, construction of which had already begun some four decades earlier. 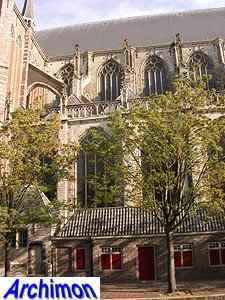 The choir however probably replaced an earlier one which was destroyed by fire in 1457. 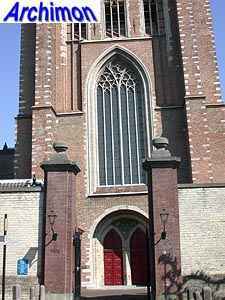 It has five radiating chapels. 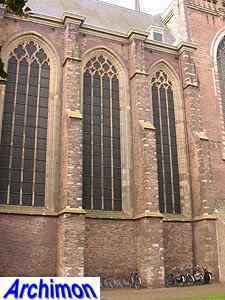 The nave and the transept are executed in brick, with only a minimal use of natural stone for decoration only. 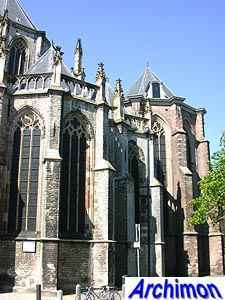 Each trave of the side-aisles is flanked by an undeep chapel. 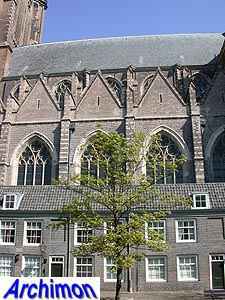 These are recognizable on the outside by their gables, which were reconstructed in 1930, using an old picture as an example. 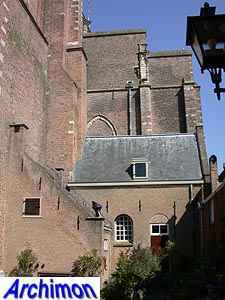 In comparison with the height and width of the church, the nave is remarkably small. 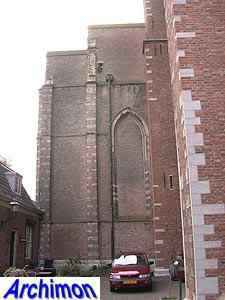 Archaeologists discovered in 1929 that the church originally was intended to be twice as long. 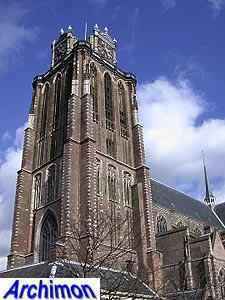 Also unfinished is the tower, work on which was started in 1439 and was probably stopped to prevent further leaning. 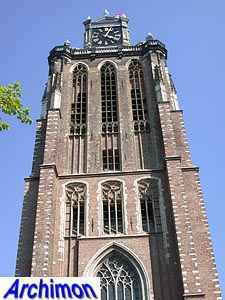 It was designed by Antoon I Keldermans, who had intended it to be about twice as tall. 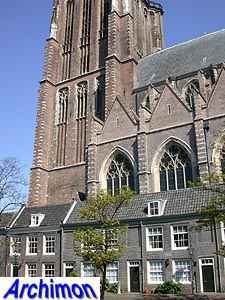 The current top of the church, with its four clocks, dates from 1624 and incorporates the pillars meant for the octagonal third segment.